Visit Our Ajax Optometrists For Eyeglasses or An Eye Exam Today! Kearns Optical has been providing eye care for the Ajax community for 40 years. Welcome to Ajax Family Eye Care! We are happy to welcome you to Ajax Family Eye Care, serving Ajax, Ontario and the surrounding area! 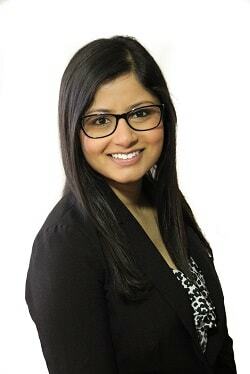 Our Ajax optometrists, Dr. Sameer Patel and Dr. Nina Gupta, and our staff are proud to provide you with the best eye care, from eye exams and ocular disease treatment, to eyeglasses and contact lens prescriptions, and beyond! Learn about eye exams, what’s involved in a comprehensive exam, and special considerations for kids and contact lenses. 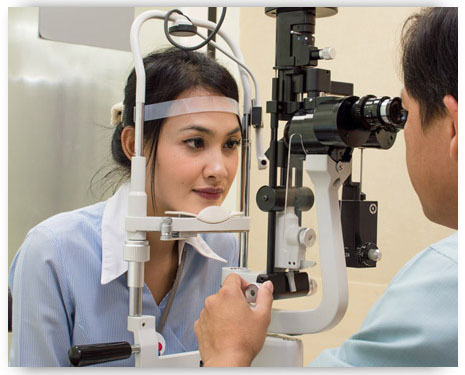 Learn about the different types of tests you may experience during a Comprehensive Eye Examination at Ajax Family Eye Care. Excellent customer service. Affordable prices. Dr Patel and stuff were very friendly. Best experience ever. Excellent service our whole family purchased our glasses here. Doubt i will go any where else. One of the best eye exam/glasses purchasing experiences I’ve ever had. Staff was courteous, attentive and quick. Facilities were clean and very advanced. Doctor was personable, knowledgeable and thorough. Hands down going back for all my family’s eye care needs. Exceptional Customer Service. Never in my 30 years of wearing glasses have I ever done my eye exam and get my glasses on the same day. Dr. Patel also helped me choose the frame. I left there very very pleased. The two receptionists - awesome. I recommend them to the world. Keep up the good work. Amazing service. A very friendly and professional atmosphere. Would recommend to anyone. Definitely one of the best experiences I've had dealing with an optometrist. 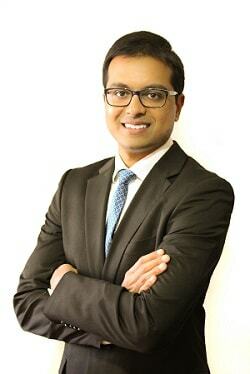 Dr. Patel was so friendly, incredibly helpful and made me feel right at home. Highly, highly recommend this place. Thanks! 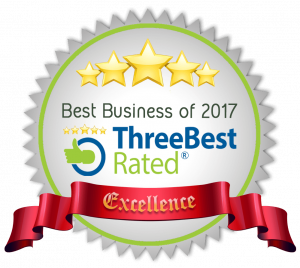 Excellent service, friendly, helpful staff and great selection. Highly recommend a visit. Ajax Family Eye Care offers emergency services that require immediate and urgent eye care. If your eye is injured, don’t try to judge the severity of it. Immediately seek the opinion of an eye doctor to lessen the risk of hurting your vision. We understand ocular emergencies can arise at any time. Please call our office at (905) 683-2020 for further instructions. Use your best judgment on urgency, if you feel your need to find the nearest emergency room. 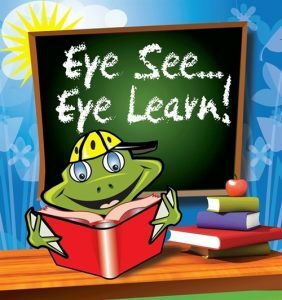 We are proud to participate in the Eye See…Eye Learn program, offering FREE comprehensive eye exams to junior kindergarten students. Click here to learn more.